This article will describe how to connect your Eloqua account to Interact apps. Step 1: In the Interact app builder, under Connect your email list, choose Eloqua from the list of integrations. 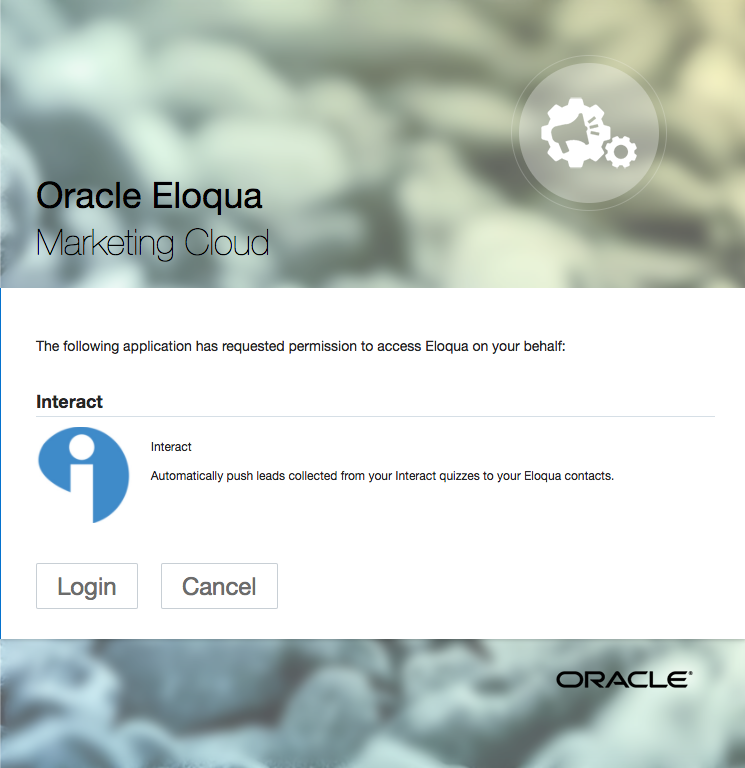 Step 2: You will be prompted to authorize Interact to access your Eloqua account data. Click Login to continue. Step 3: Enter your Eloqua credentials and click Sign In. Step 4: Click Login and then click Accept. Custom Object: A custom object called Interact Leads will be created in Eloqua. The custom object is used to store the custom field values (such as quiz result titles). Each new contact will be uploaded as a contact and as a custom object record. Each custom object record maps to the corresponding contact (via email address). Custom Object Field: A new custom object field will be created for each quiz connected named Interact Quiz Result N, where N is a unique identifier for the quiz. Contact Import Definition: This is used behind-the-scenes to import new contacts collected through your quiz. Custom Object Import Definition: This is used behind-the-scenes to import new custom object records collected through your quiz. Verify that this custom object Interact Leads has been created inside of your Eloqua account by navigating to Audience -> Custom Objects and searching under the Unfiled folder on the left sidebar. Will existing Eloqua contacts be updated? 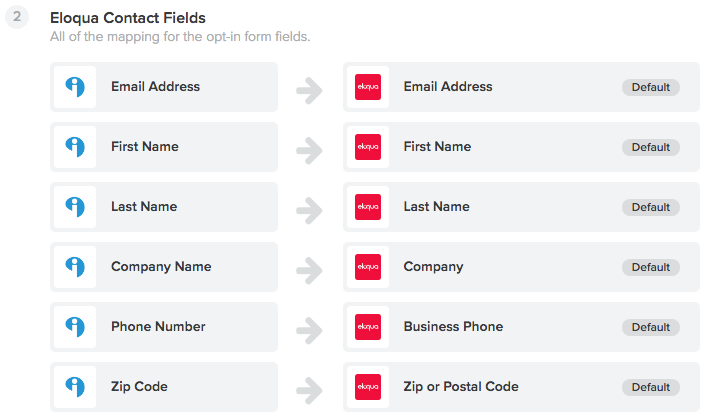 Yes, existing Eloqua contacts will be updated with updated field values. What will new custom object records look like in Eloqua?